It takes 223 ns to loop once, but three cpu cycles @72MHz are 3*1e9*1/72e6= 41.6 ns, can I touch some clock setting somewhere to make it toggle faster? ...this is on an Espruino Original? It's probably because the peripherals run at different clock speeds in different parts of the chip. Even though the chip is running faster, the GPIO will run slower so any accesses will take a few cycles. Generally because Espruino isn't super fast anyway, the GPIO peripheral clock is lowered more than it has to be so you get better power consumption. On the F4 boards there's a method called E.setClock where you can tweak it on the fly - however it's not implemented on the F1. The clock domain you need is for the APB2 bus, and it's called PCLK2. Looks like the default is to divide by 4, and you can change that to use the clock as-is. It's in the RCC.CFGR register if you look at the STM32F103 reference manual (if you're interested). And see if that helps at all? Yesss, that's cut it almost in half, now it's only 139 ns. Are there still wait states for other reasons? 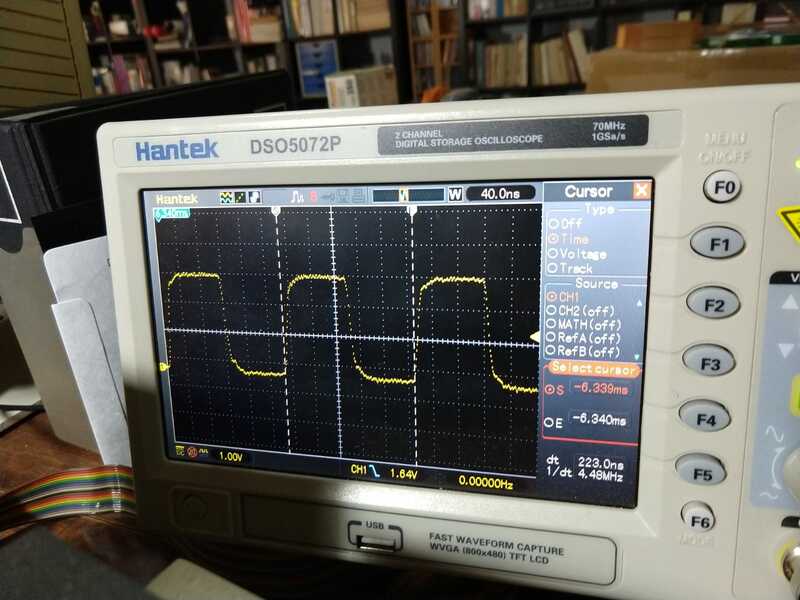 Is it a square wave you want or Is this testing? 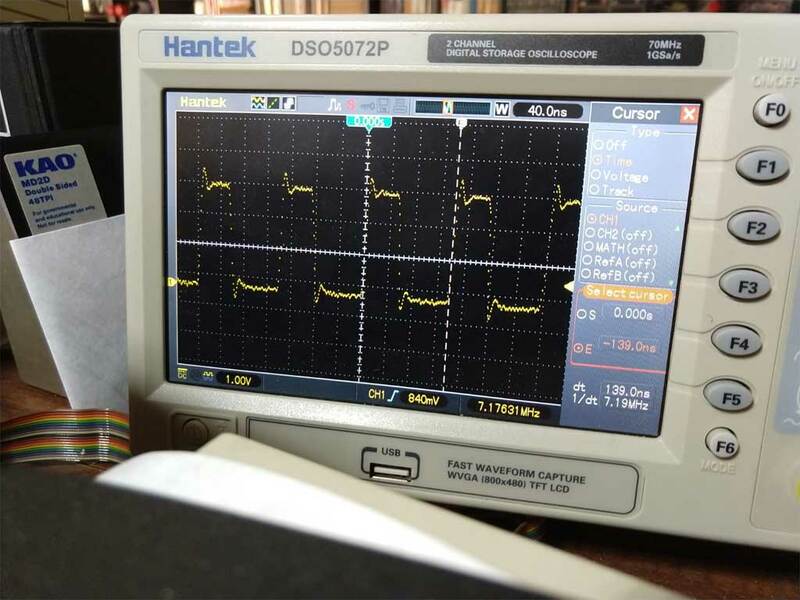 You could use the pwm output and not use any loop code at all. Testing, yes, trying to find where the limits of this little cute chip are. Speaking of which... can I overclock it by setting the PLL multiplier to more than 9x? Are there still wait states for other reasons? can I overclock it by setting the PLL multiplier to more than 9x? Possibly, yes :) I seem to recall that using setClock on the F4 I tried I could get it from 84 Mhz up to 120 or so. I believe there may be other registers (there were on the F4 IIRC) that allow you to tweak the core voltage up a bit, which will let you hit the higher speeds. Great! Now I have to learn the sequence of clock source swapping that works to change that, it seems I can't just poke the new multiplier value there, right? it seems I can't just poke the new multiplier value there, right? It might be easier just to make your own build?